From their base in London's Highgate, Indoor Garden Design have been creating interior and exterior plant displays for the city's office since 1975. The company's founders, Ed and Brita Wolf, were passionate about tropical plants and the benefits that they could bring to the working environment well before this view was popular. Who are Indoor Garden Design? Now managed by its three executive directors – Ian Drummond, Pippa Robinson and David Grace – Indoor Garden Design employs six managers and a team of 40 maintenance technicians, and continues to transform workspaces with plants today. IGD design, install and maintain indoor and outdoor planting schemes from atria, roof gardens, living walls to extensive containerized plantings and individual potted plants. IGD's client list reads like the Who's Who of the corporate world, with brands such as Hermes, BUPA, Penguin, 3i, British Library, Selfridges, IPC Media, ITV and Deloitte. 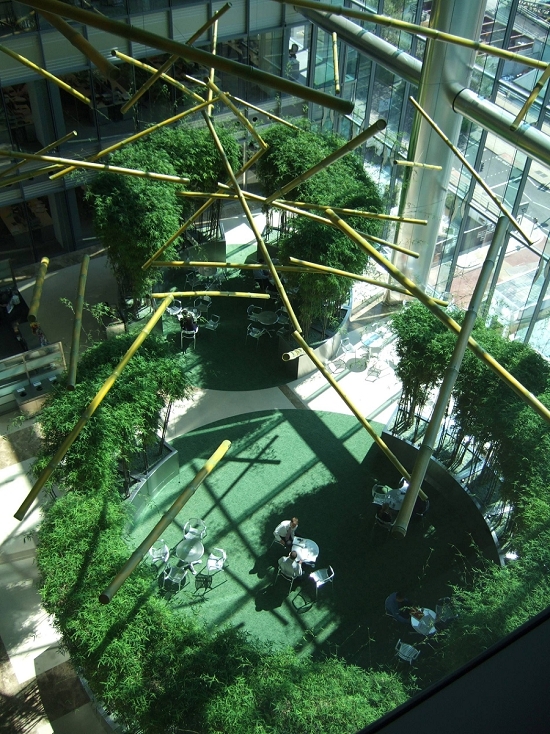 This year alone, Indoor Garden Design scooped 15 eFIG Awards and the prestigious BALI Award for a second consecutive year in the category of Interior Landscaping: Installation for its work at Deloitte. Ian Drummond can still recall his first visit to the Flower Market at the tender age of 16: "It was 5am on 4 July 1988, and I was terrified! I was scared that I would be late to meet my boss on my first day in my first job, and I was surrounded by the most amazing plants that I had never seen before. But I loved it from day one. I love the Market banter, I love the whole energy of the Market. "Our team are in Market pretty much every day of the week, and in the run-up to Christmas I am there 2-3 times a week. It's an inspirational place, filled with the best of the industry's suppliers." IGD is always looking to question how people view plants. 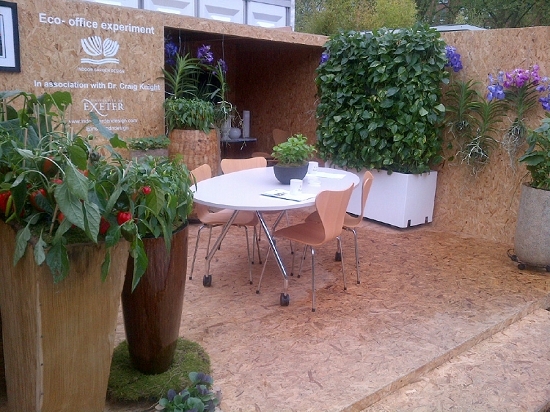 At this year's RHS Chelsea Flower Show, the company's Creative Director, Ian Drummond, staged an innovative psychology experiment with the University of Exeter to explore the role of plants in the work environment. Over 300 Chelsea visitors participated in the trials, which overwhelmingly demonstrated that plants, in a well-designed and personalised office environment, can boost business effectiveness through improved staff productivity and creativity. This innovative approach to talking plants is typical of IGD's approach to business development. When the recession hit, IGD took the strategic decision to target high-end, high value corporate and event markets. Ian wanted to move planting into a much more creative direction, and saw that event planting rather than floristry was a way to help minimise waste, as the plants could be planted out after the event. IGD made its mark on the event market with a show-stopping bottle made from plant material at Sir Elton John's White Tie and Tiara Ball. "You have to look at the venue, the garden, and theme the landscape to suit the event." The Sir Elton John event led to London Fashion Week and catwalk shows at Somerset House, which in turn led to the BAFTAs, award ceremonies. High-end hotels and restaurants too have started to embrace the possibilities of creative planting indoors and outdoors. "The planting side is often overlooked," says Ian. "There can be amazing floristry inside, but just a couple of bay trees outside. It is not creative at all. We do a lot of clever work to complement the brand of hotel." Word spreads in the hotel industry, it seems, and the recommendations flowed. 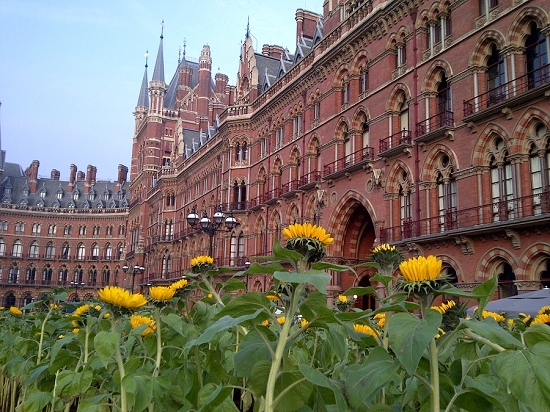 One such hotel customer is the magnificent St Pancras Renaissance Hotel, where Ian Drummond staged the playful, interactive 'Living with Nature' exhibition this October 2013, and caught the imagination of the media and London commuters. "It was my personal dream to celebrate 25 years in the industry at such an iconic venue. The media pick-up was fantastic and the exposure was incredible: St Pancras has a million visitors per week." So what's next on the IGD agenda? "Well…" begins Ian, and you know this is a man with plans, "Well, as Director of IGD and as Chair of eFIG next year, I want to raise the profile of landscaping and change the way people consider planting. Potting up a plant and leaving it in the corner is not what we do. It's time the creative side of landscaping was celebrated." We think IGD is well on the way to achieving that goal. Many congratulations to Indoor Garden Design, winners of the inaugural Flower Market Award for Plantpeople of the Year 2013.